Applications are now being accepted for the June 23-29, 2019 Academy. 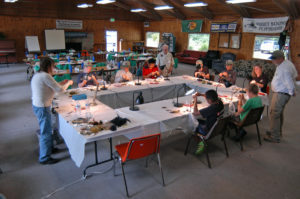 The deadline for the 2019 Northwest Youth Conservation and Fly Fishing Academy is April 15. Boys and girls must be 12-16 years of age. Those that are accepted, will be notified by the middle of May. The Academy this year is June 23-29, 2019 on Hicks Lake in Lacey, WA. Applicants need to write an essay explaining why “they” would like to attend. They also will need a letter of recommendation from their school counselor, science teacher or responsible adult. Cost is $300 and there are sponsorships available. No one will be turned away because oflack of money. The support from the fly fishing community again this year is nothing short of spectacular. Applications are coming from all over the State. In the past years, we have been supported by over 50 volunteers. 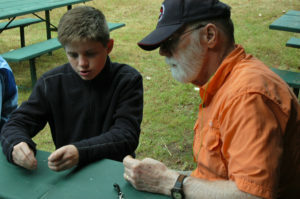 We will need volunteers again this year as guides to take the kids fishing in the morning and evenings. We will be fishing a local pond and the Deschutes Rivers in Thurston County. The Academy has a Facebook page loaded with pictures from past years and our website www.nwycffa.com You may download the application off the website or call Mike Clancy @253-278-0061 or Jim Brosio @ 360-943-9947.